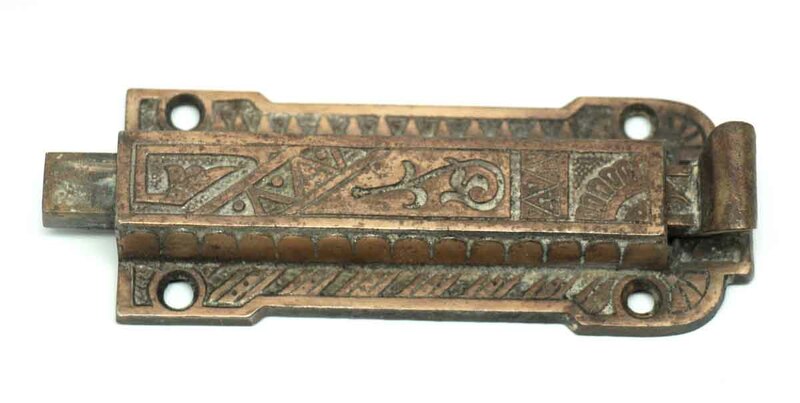 Bronze Victorian door latch, used to lock a door or cabinet. 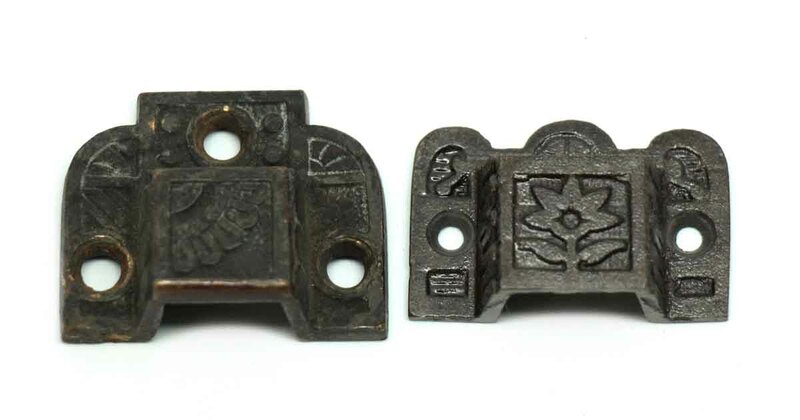 The simple abstract pattern covers the entire surface of both the slide bolt and the keeper. Designed for horizontal mounting, it’s a simple way to add privacy to any room. Priced each.